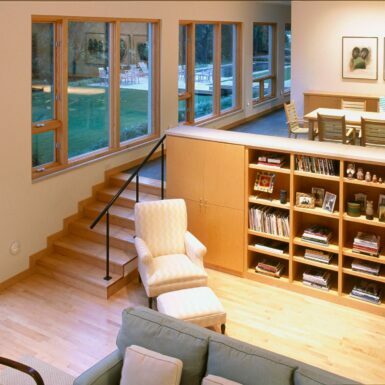 This home was designed for my own family. 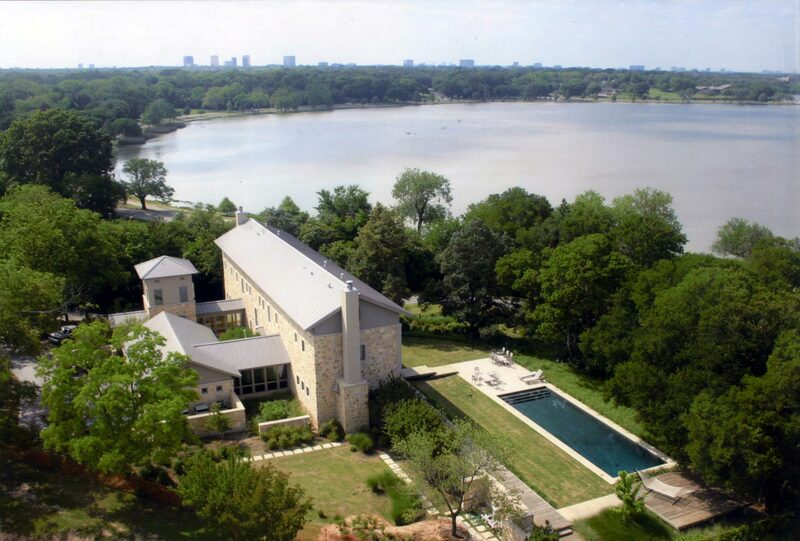 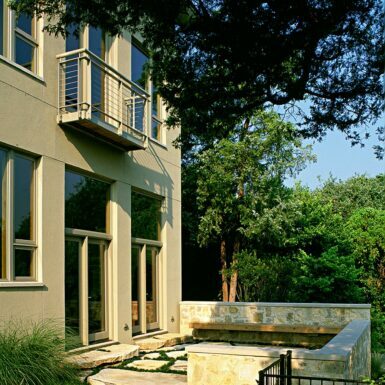 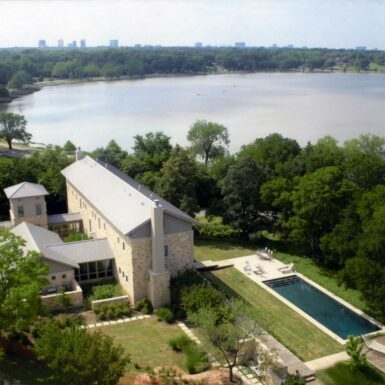 Overlooking White Rock Lake in East Dallas, the site is exceptional. 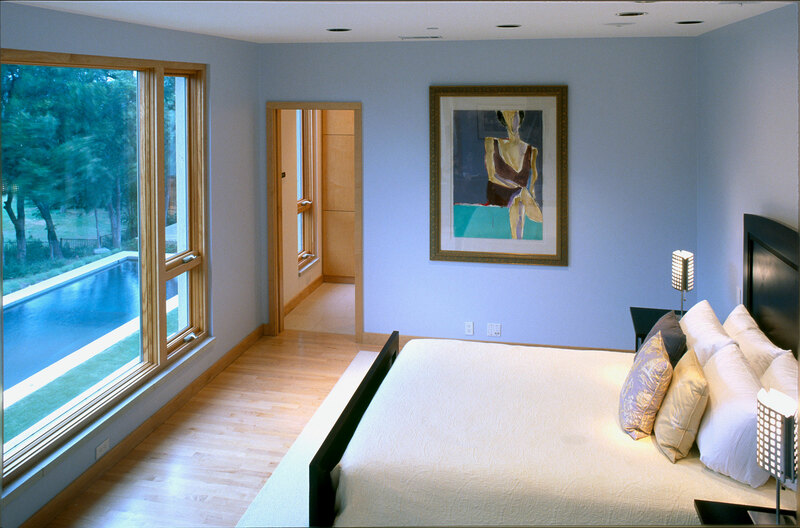 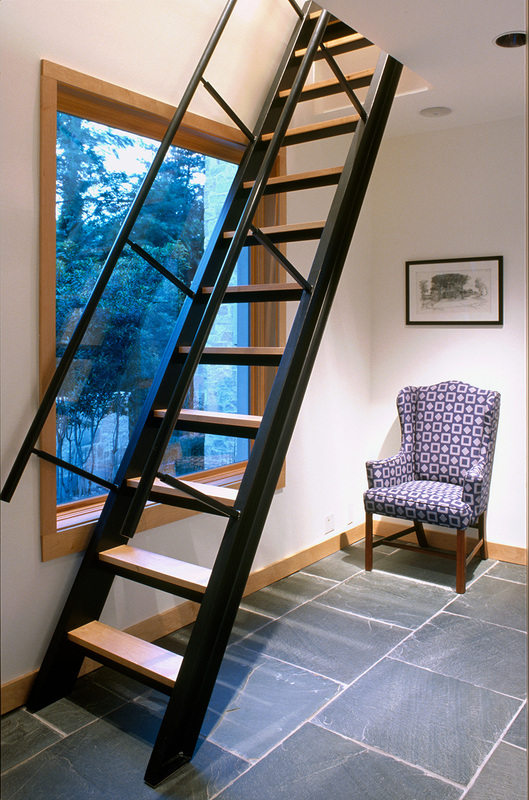 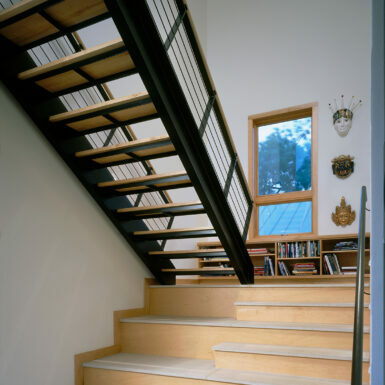 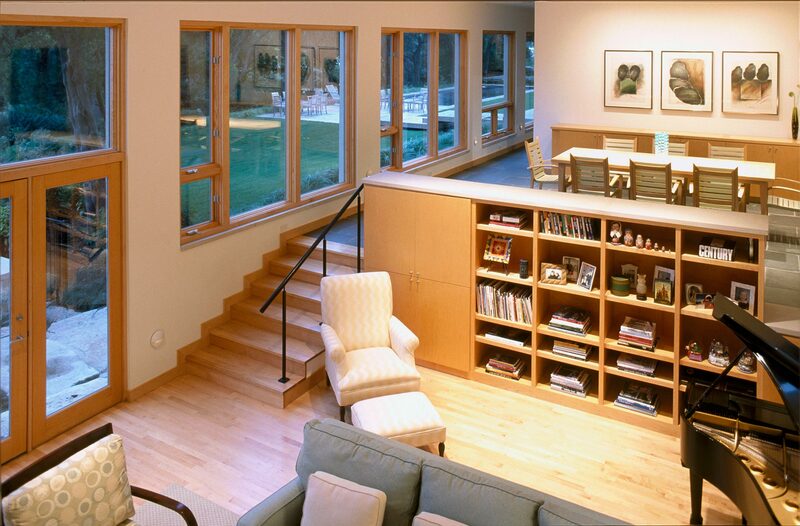 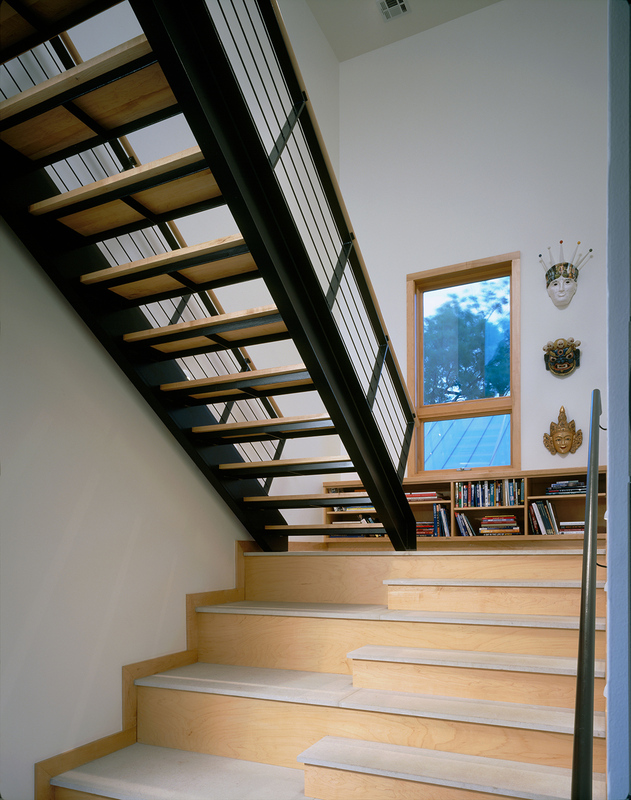 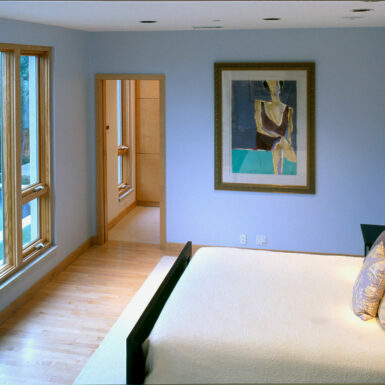 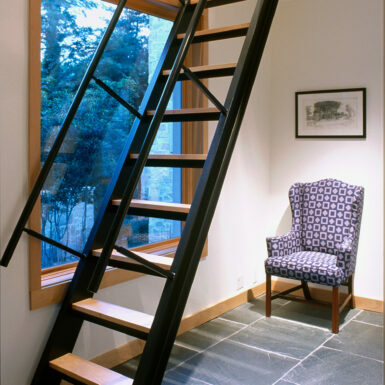 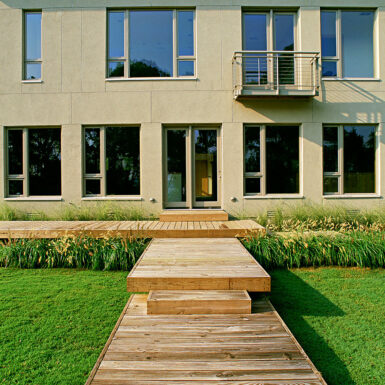 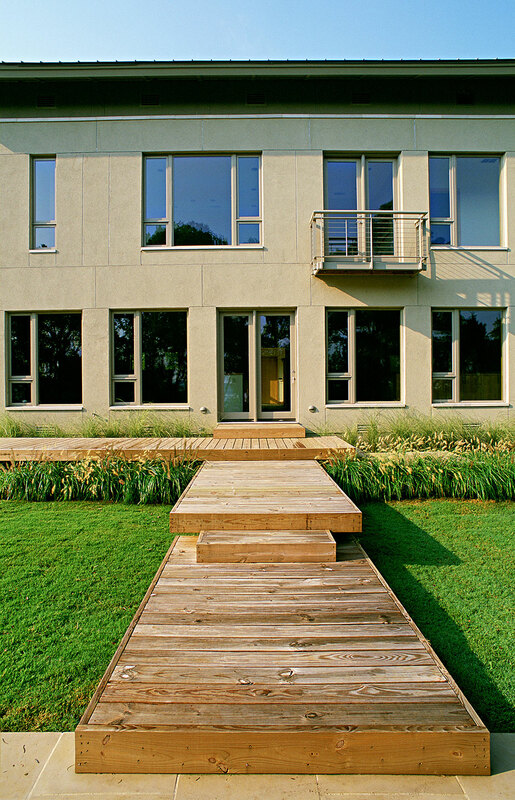 The solution is a very livable house that is site specific and climate-specific. 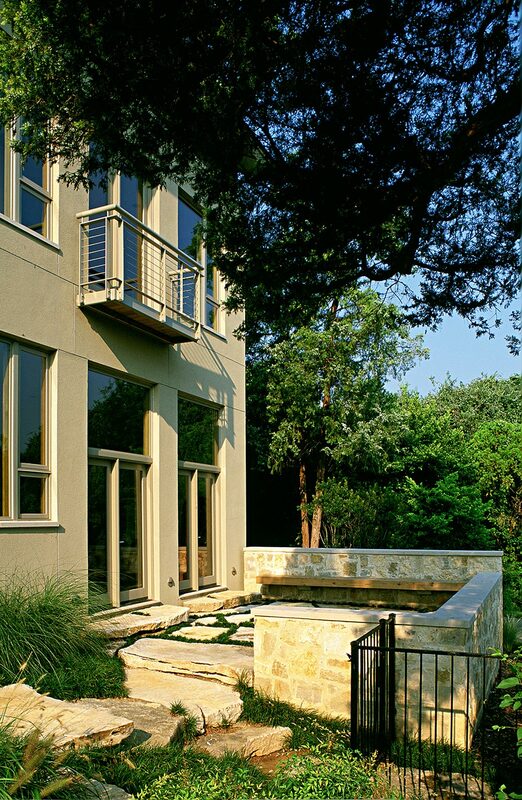 The two main challenges: optimize lake views and allow for a deck and pool that also overlook the lake….while minimizing the affect on the existing trees and topography. 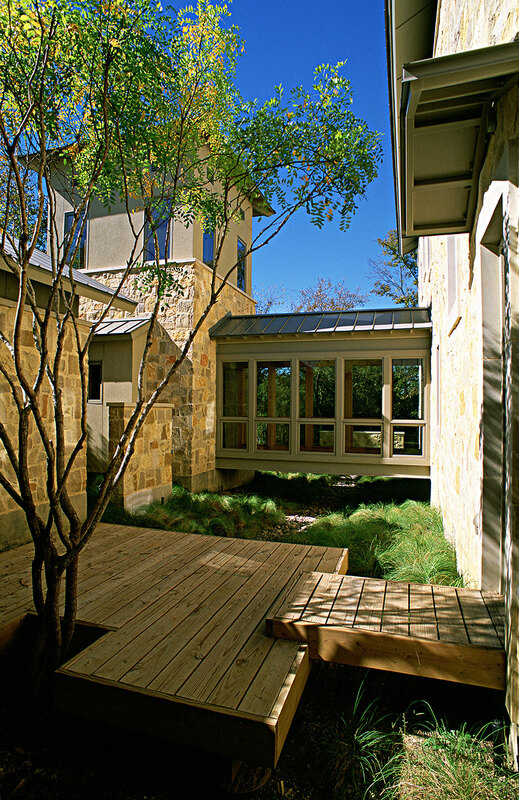 The solution is a long, thin house with extensive glass facing the lake…pulled back from the lip of the hill and a grove of Cedar Elms. 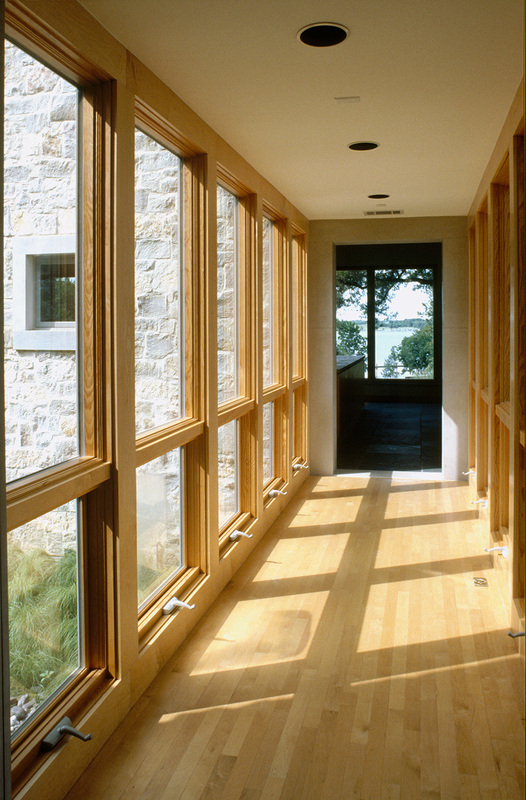 Because the views are to the north, we didn’t have to worry about solar gain on the glass. 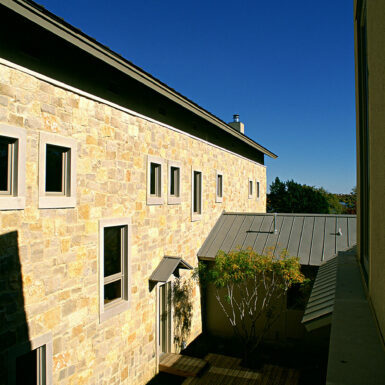 However, the other three sides face the strong Texas sun. 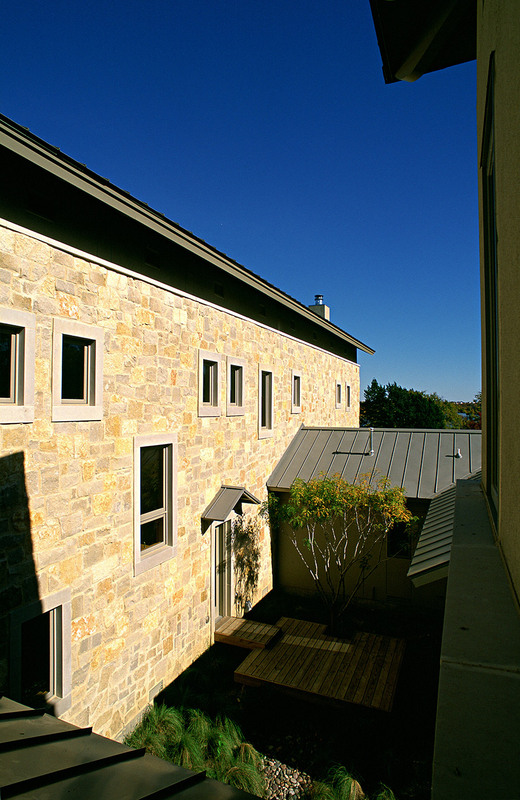 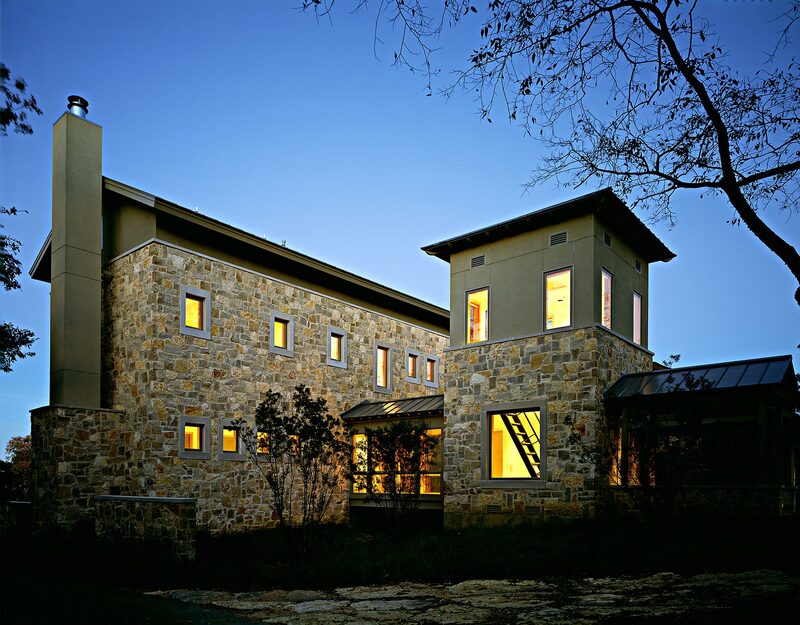 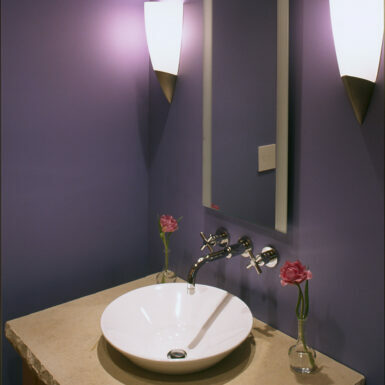 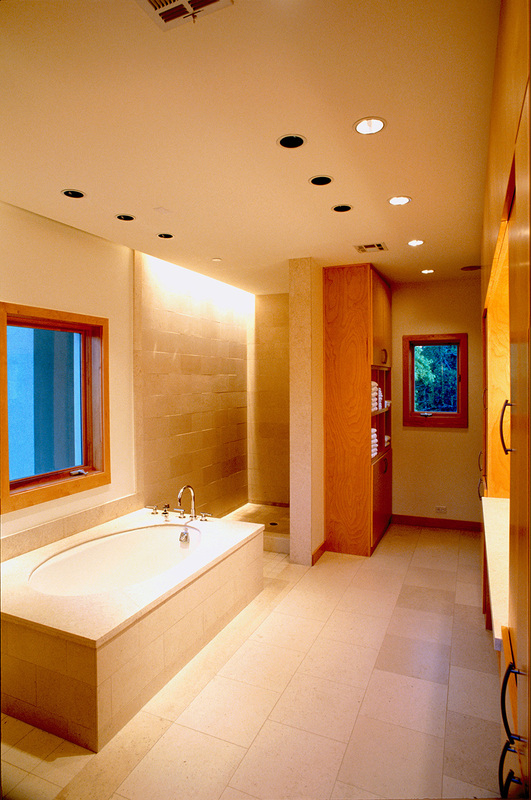 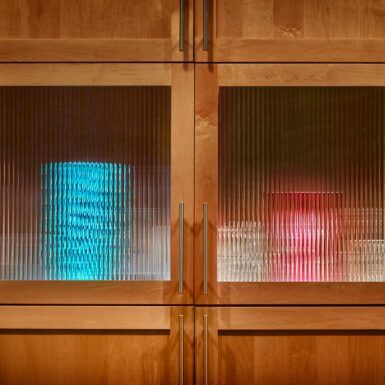 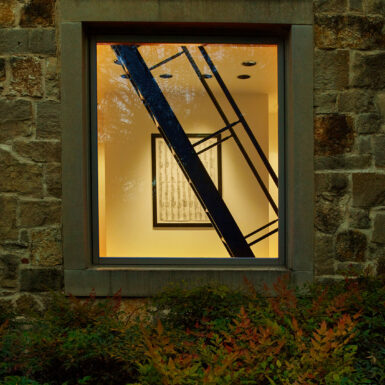 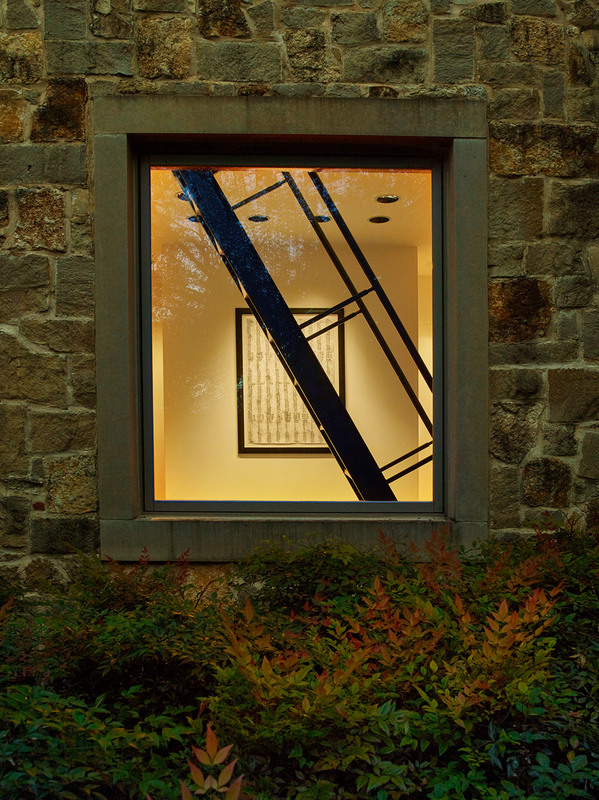 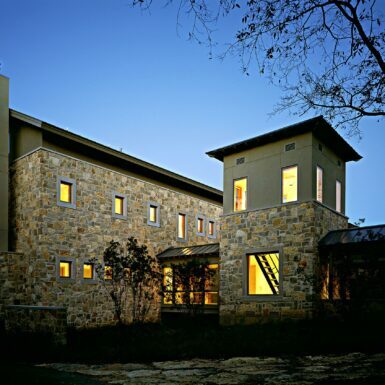 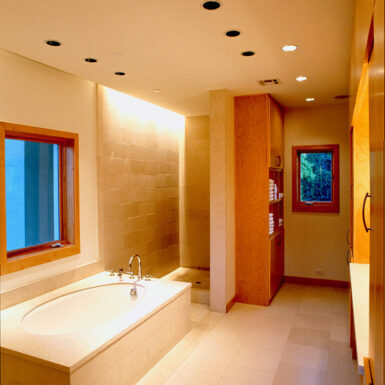 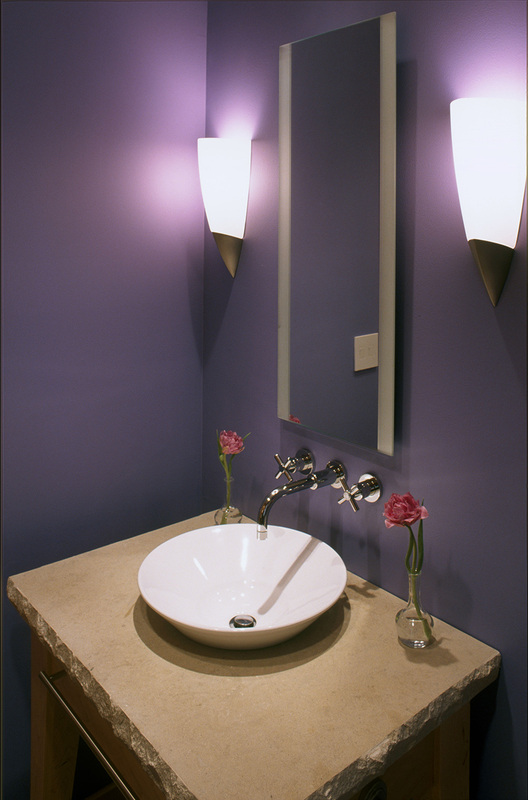 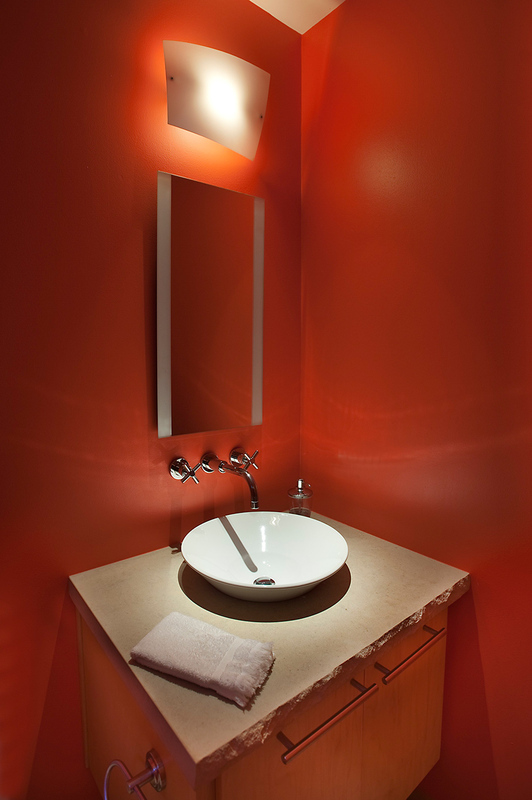 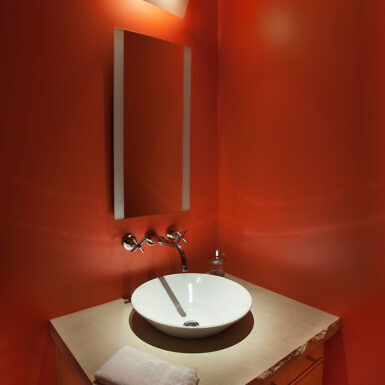 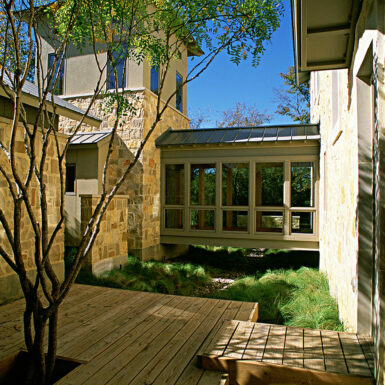 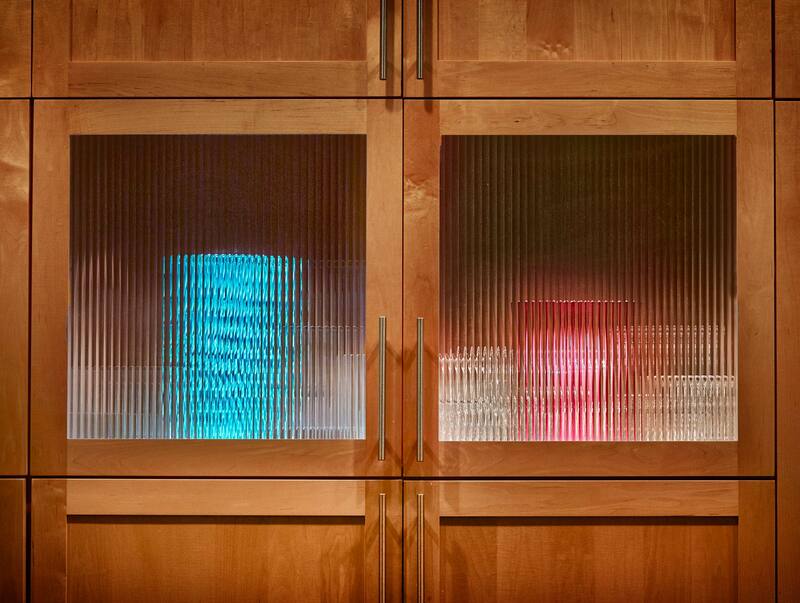 The solution was to clad those walls in native limestone and penetrate it with small windows. 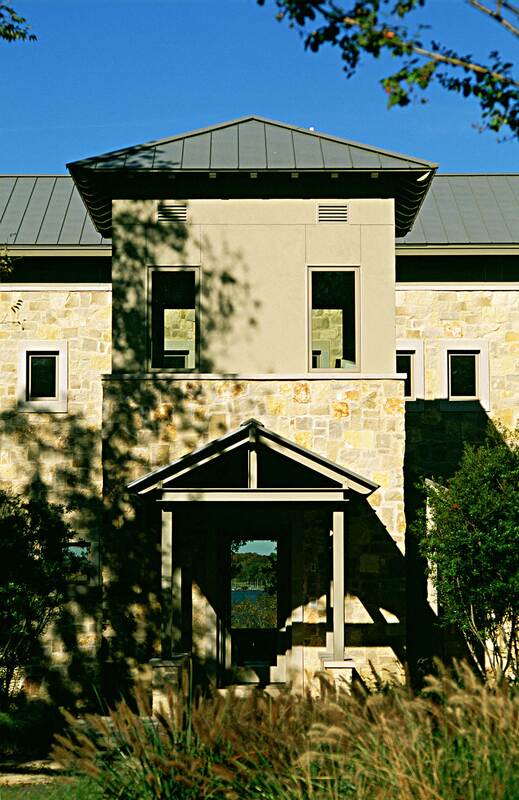 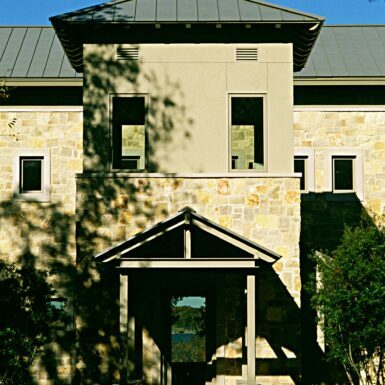 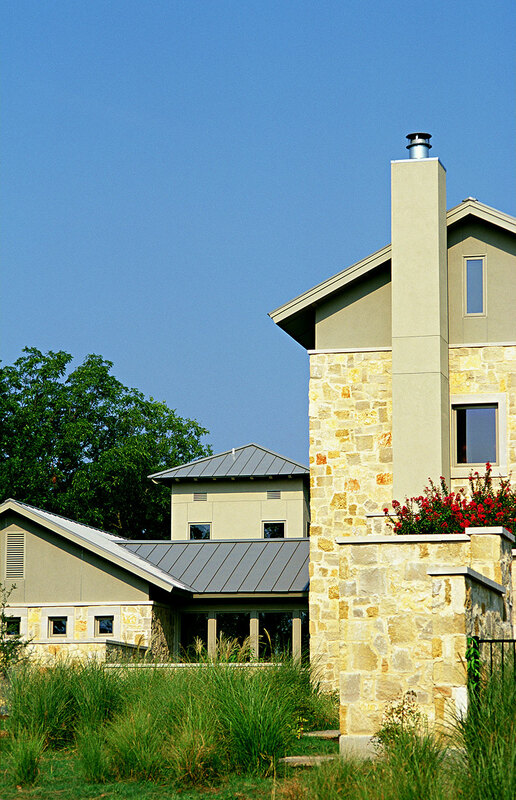 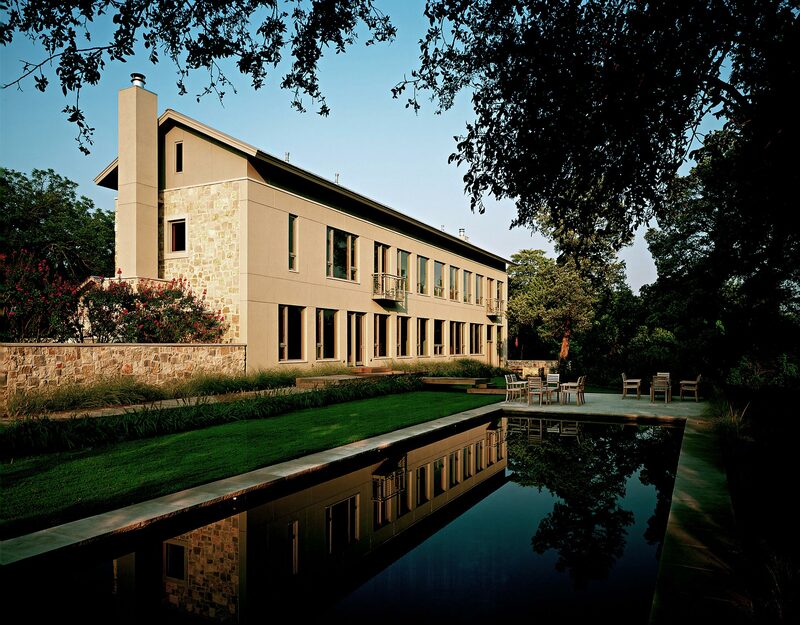 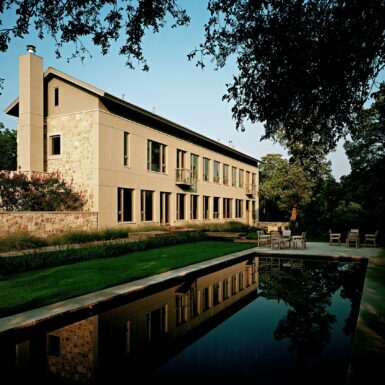 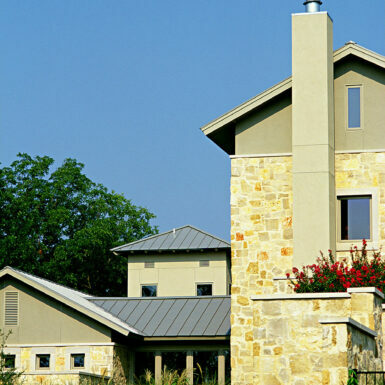 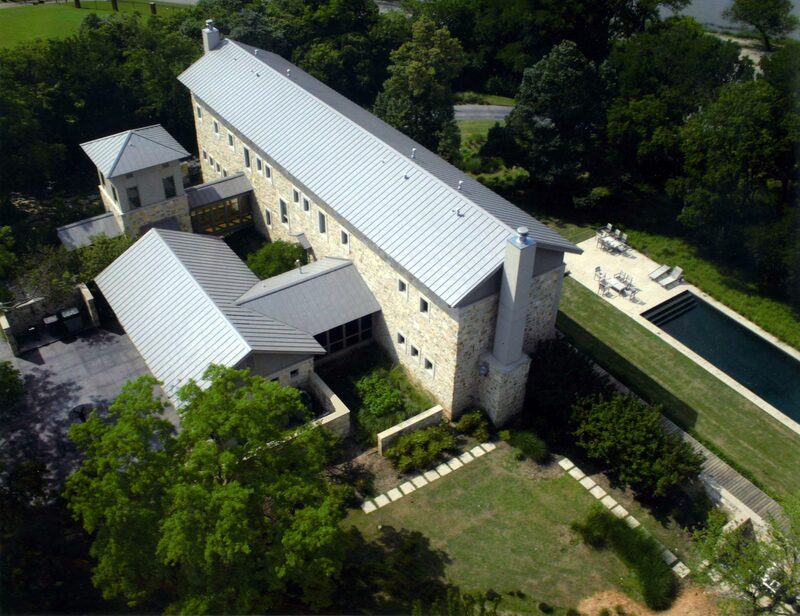 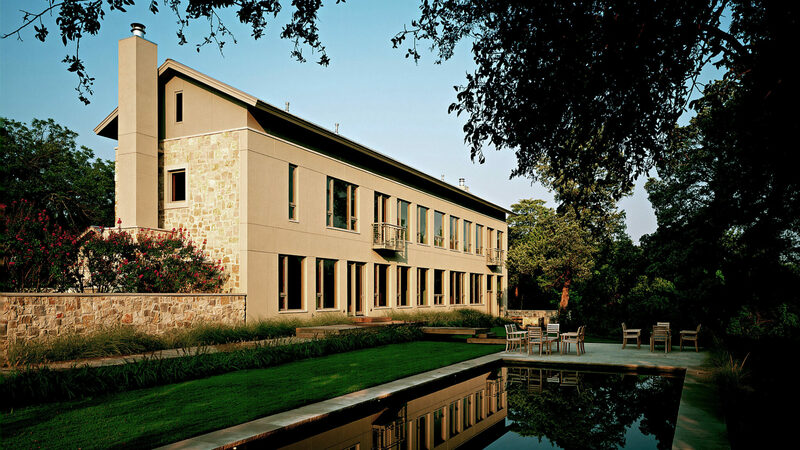 This limestone, combined with stucco and a metal roof, clearly link the house to its region. 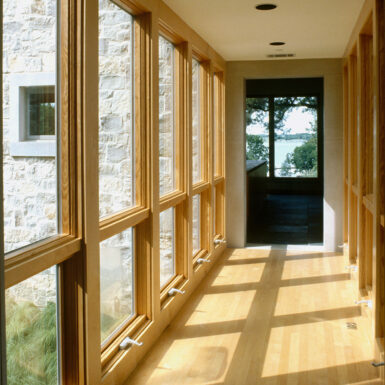 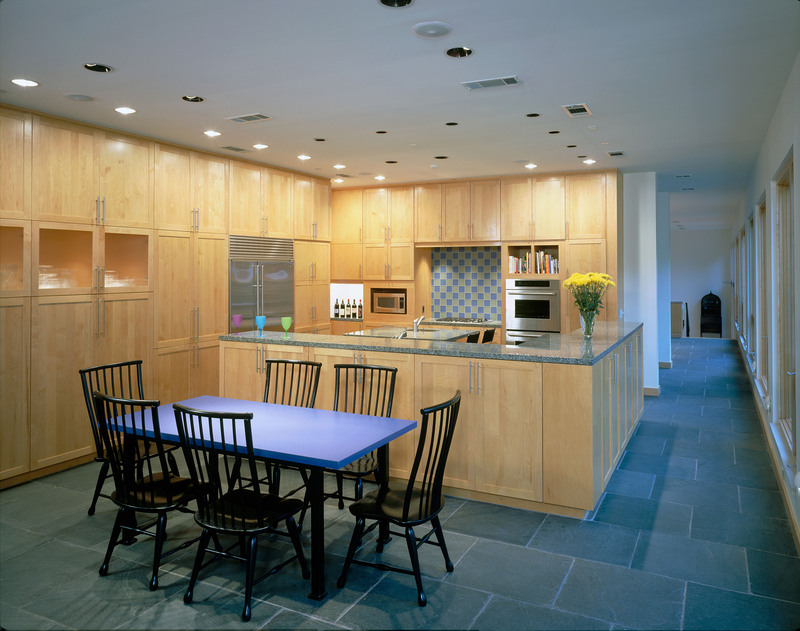 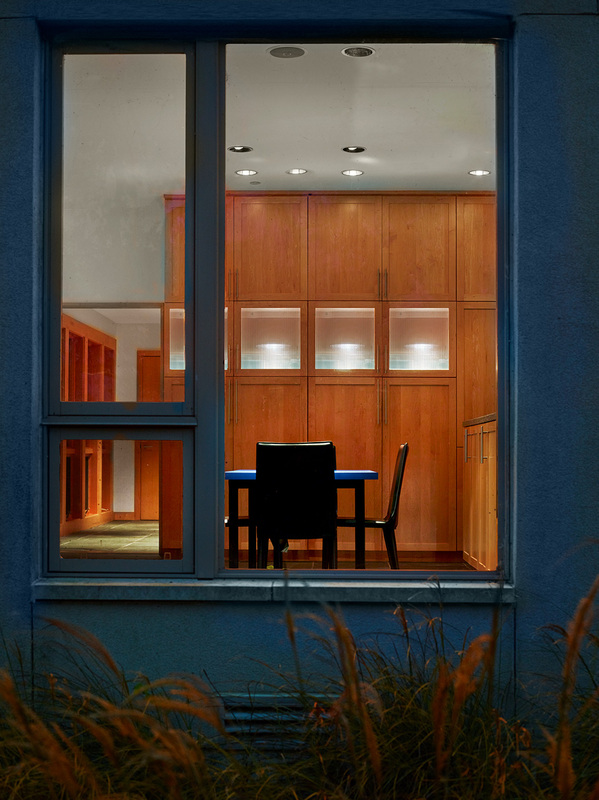 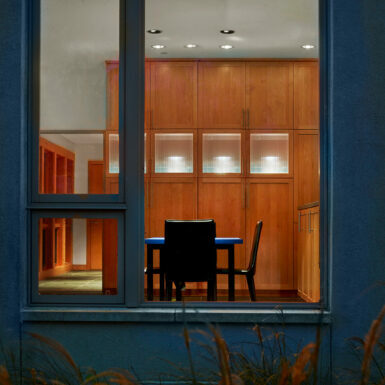 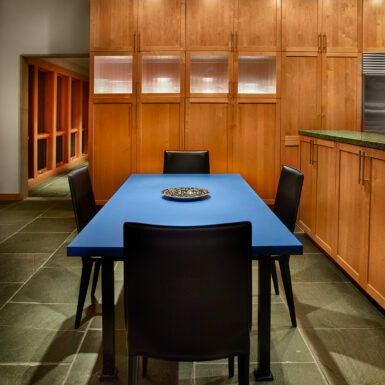 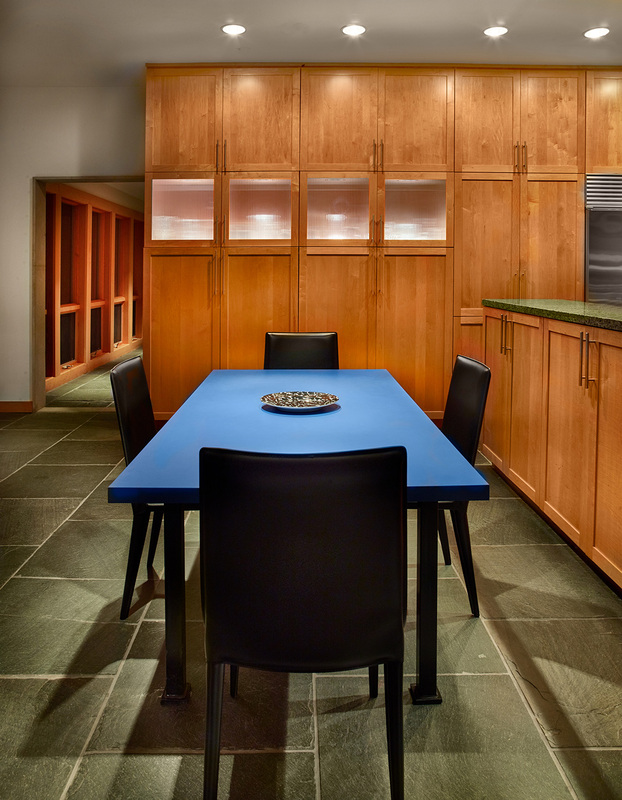 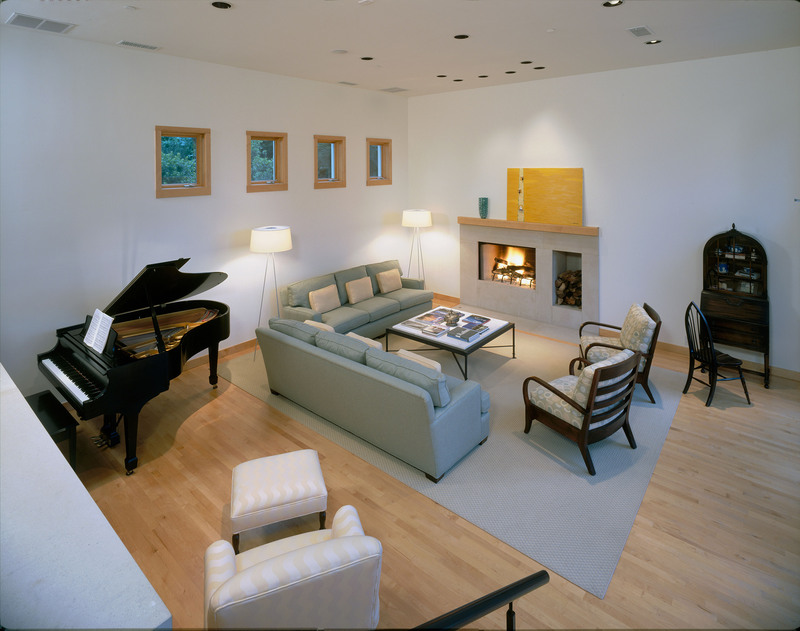 The interior of the house is also rendered in natural materials: hardwood and slate floors throughout, with extensive maple cabinetry and trim articulating simple room shapes.